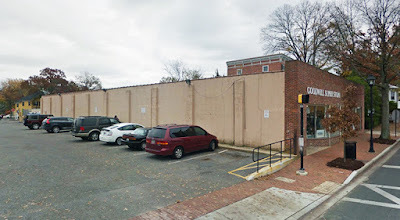 These photos are from 2013 when the exterior had a little more color. 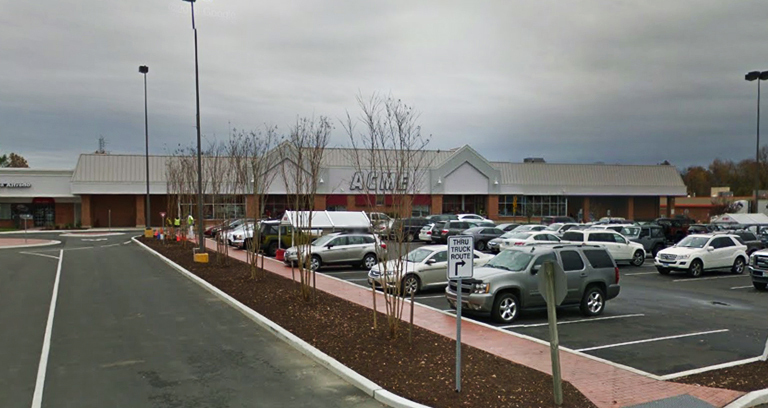 THIS a great looking Acme! 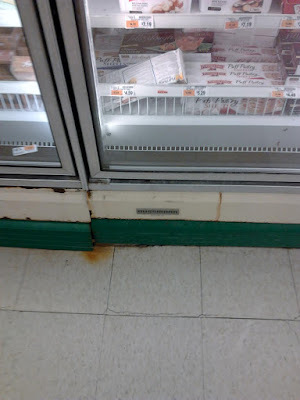 Not sure why the landlord decided to whitewash the joint. 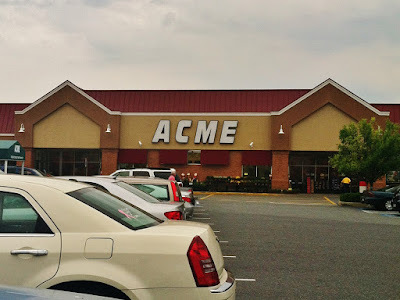 Made Acme's poor sign virtually disappear! 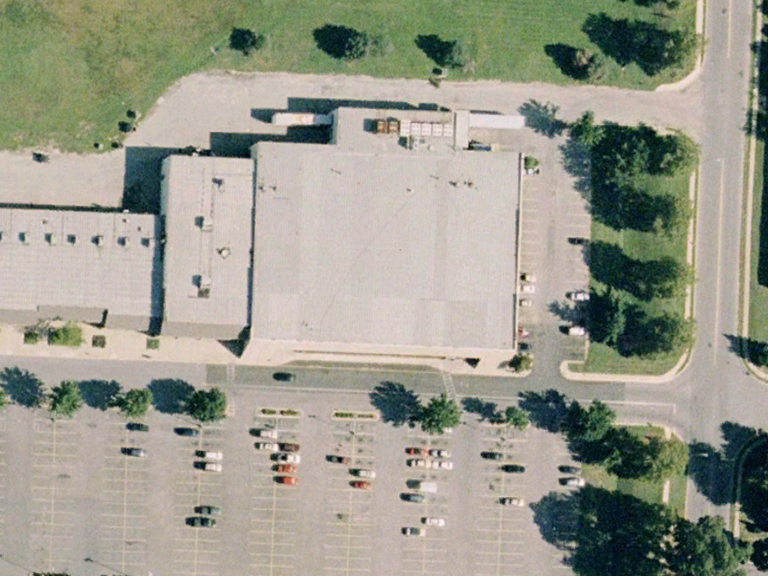 The exterior was updated during the Premium Fresh & Healthy era which explains the white logo and red awnings over the windows. 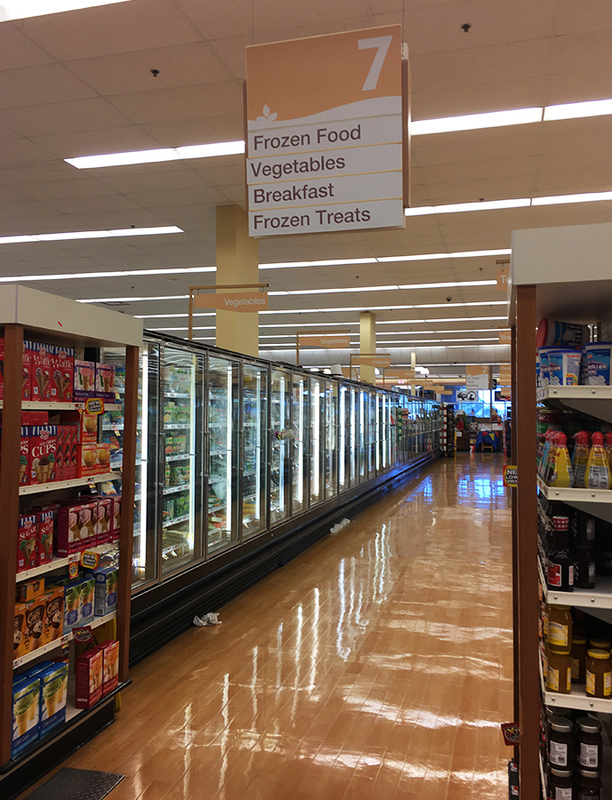 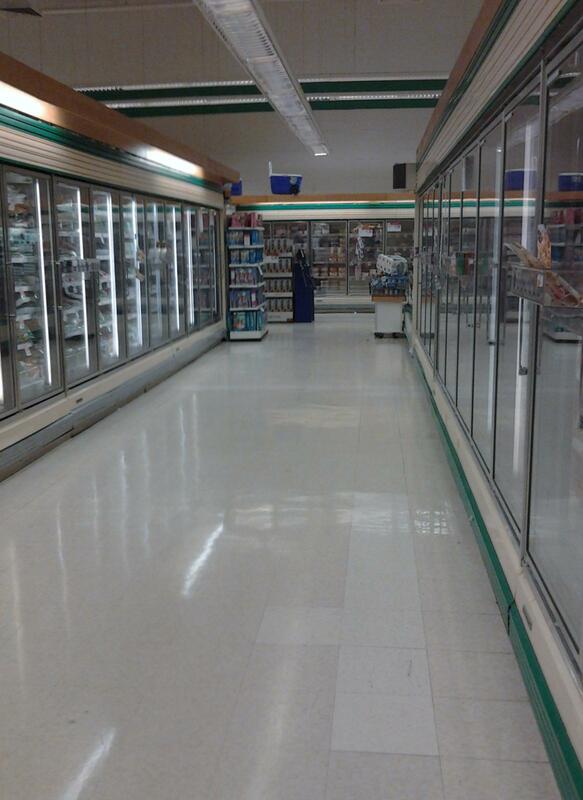 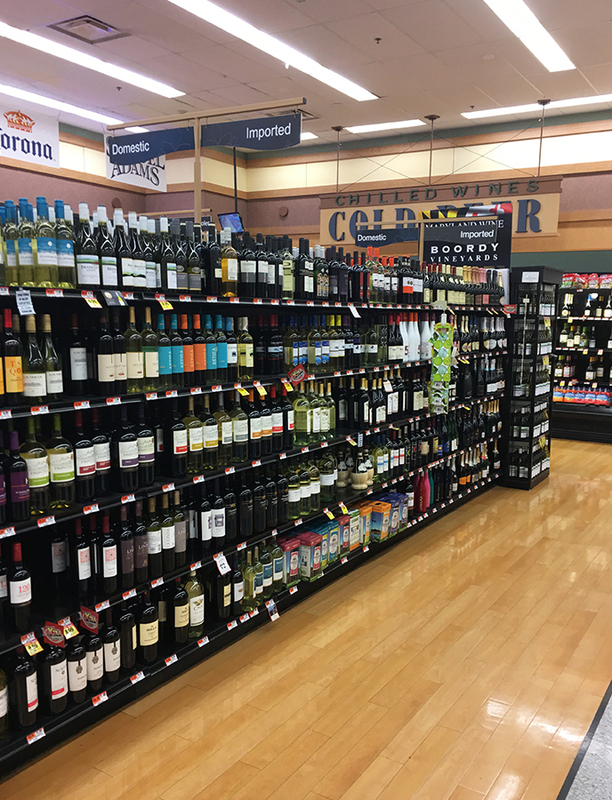 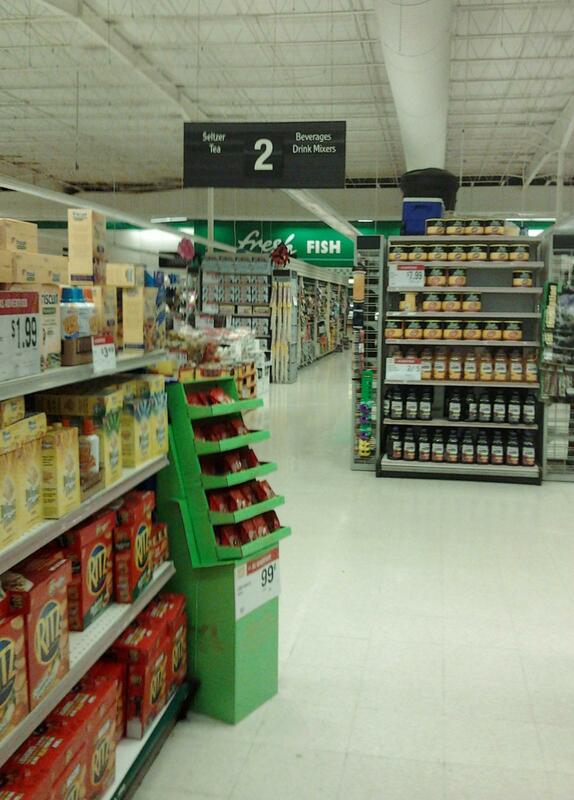 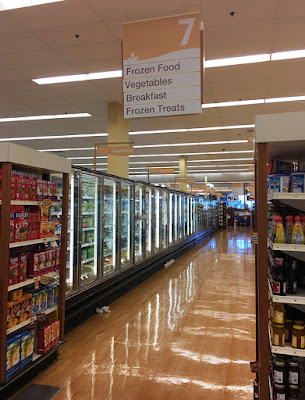 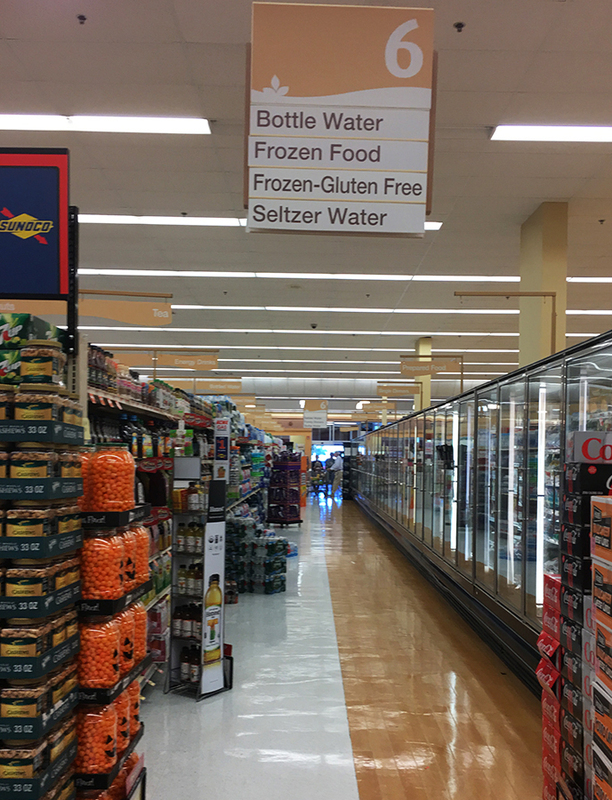 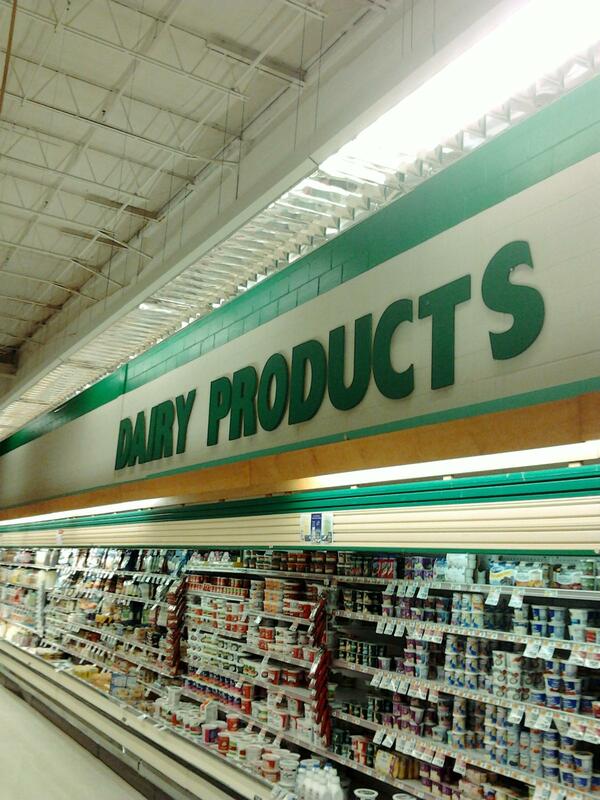 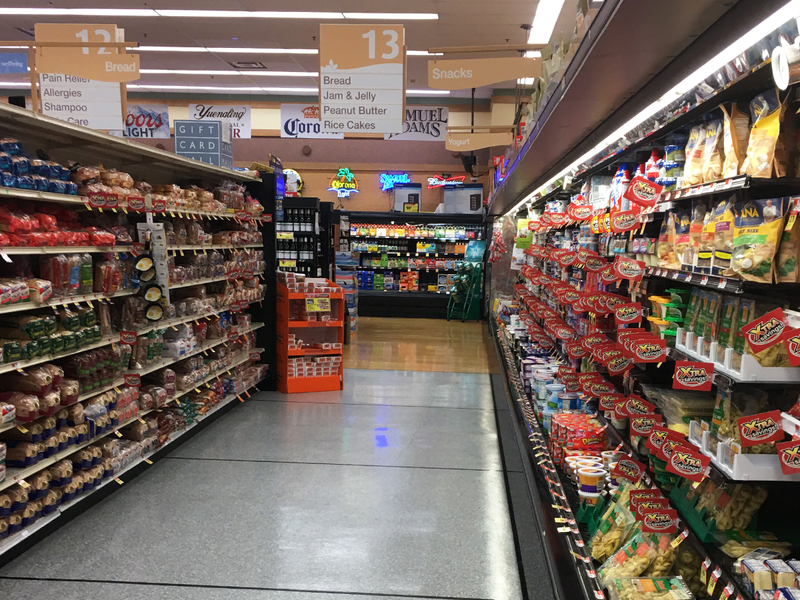 The store also received the updated aisle and category markers. 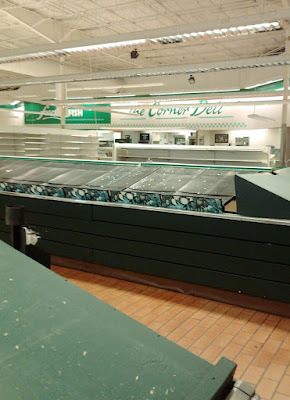 The green topped cart corrals have since been replaced with the newer white and red versions. This post has a big mix of photos from several contributors who I will list at the end. 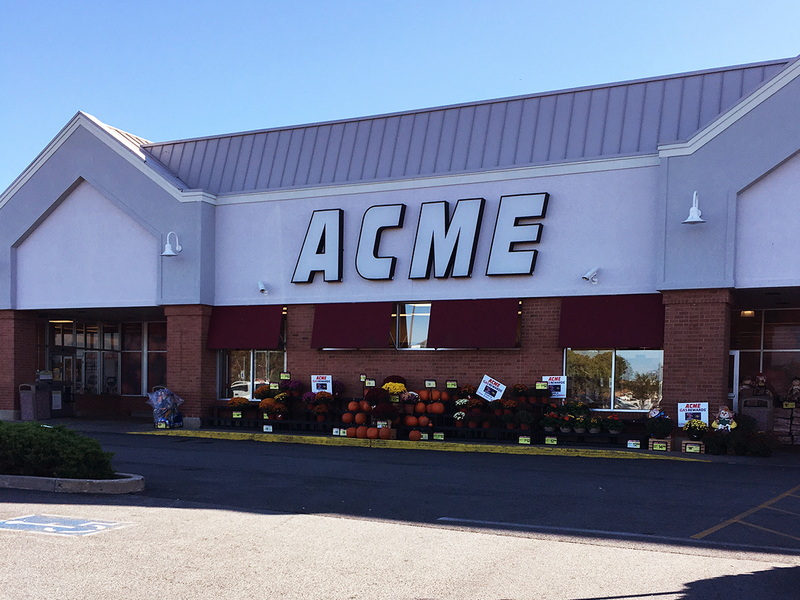 The Easton Acme opened back in the 70's mostly definitely as a 33M model. 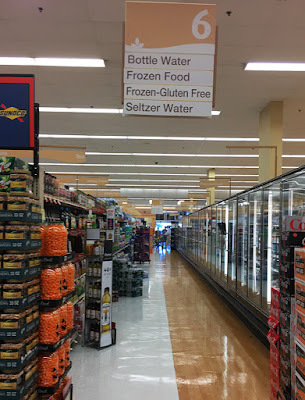 An expansion, possibly as early as 1995, was done to the right side of the store essentially adding on the whole Grand Aisle we're seeing here. 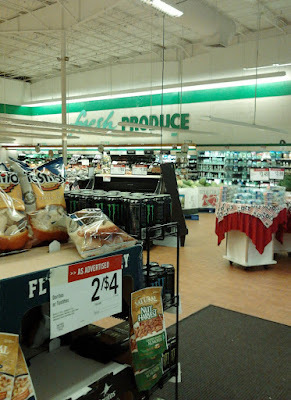 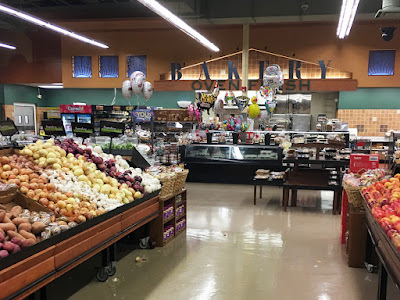 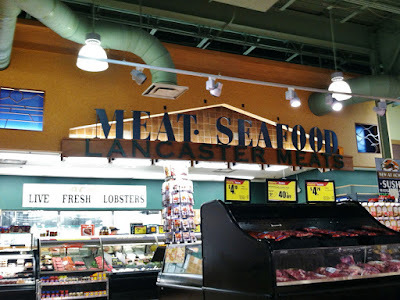 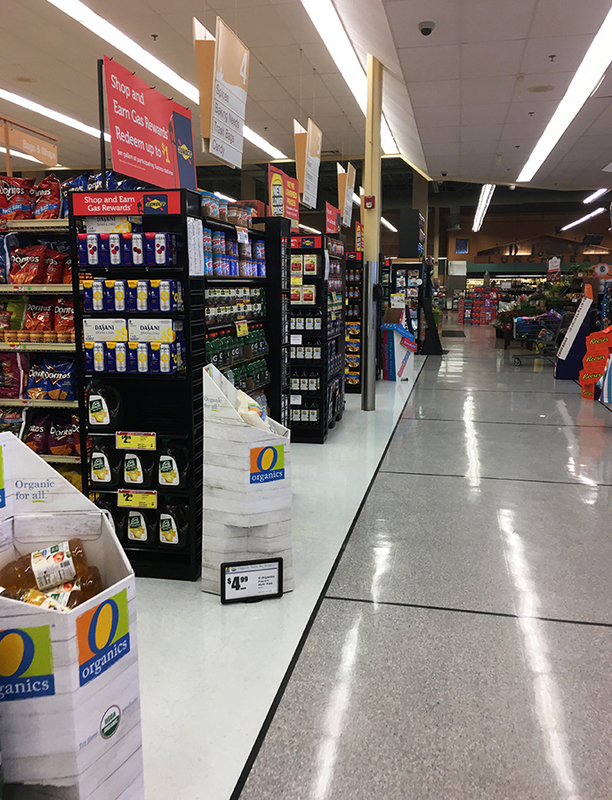 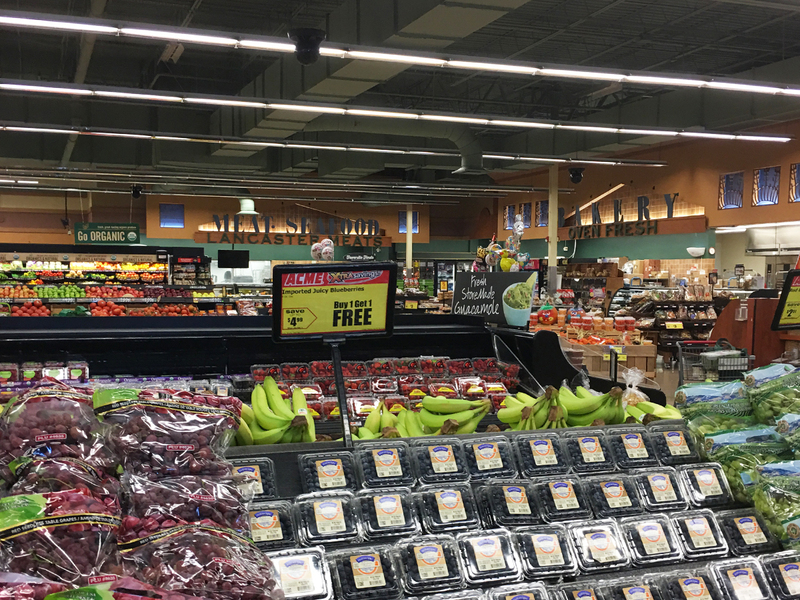 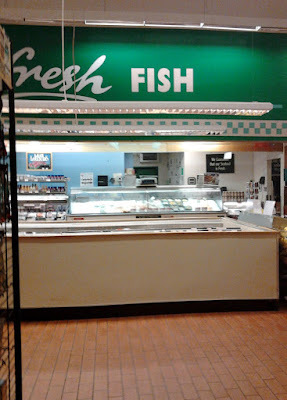 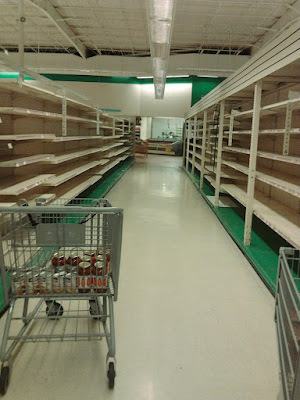 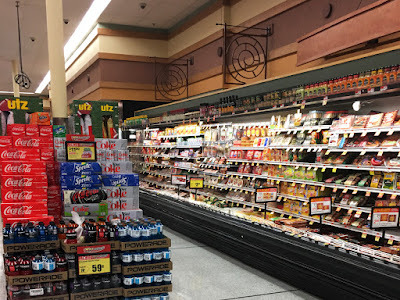 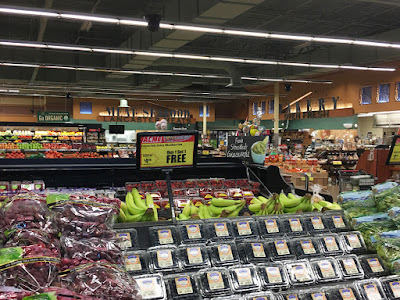 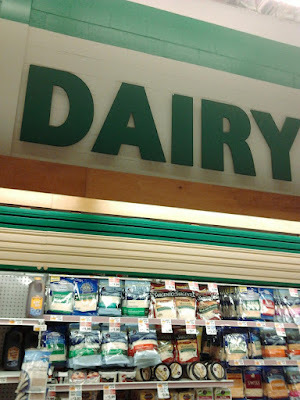 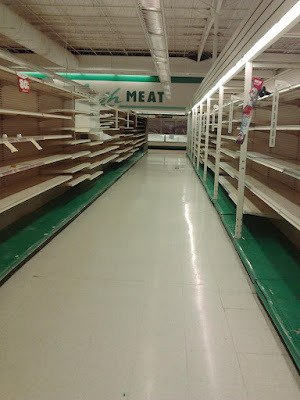 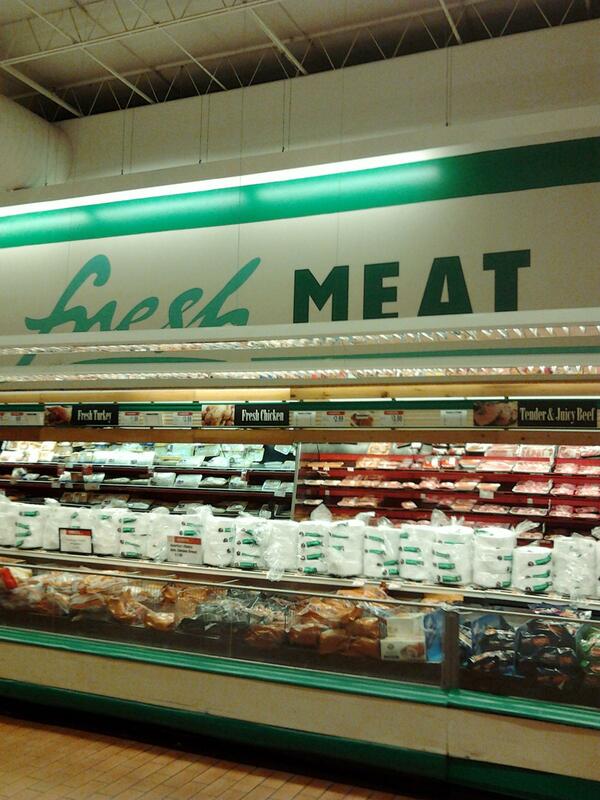 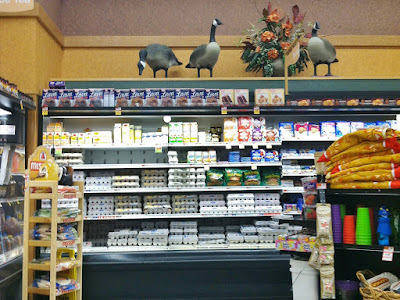 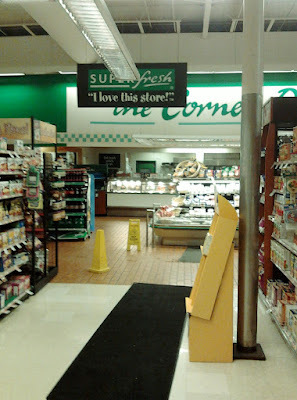 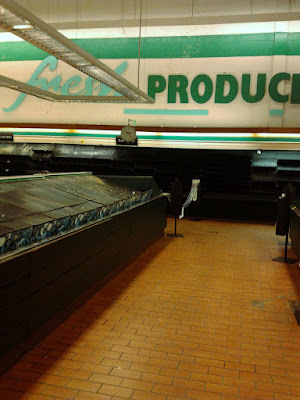 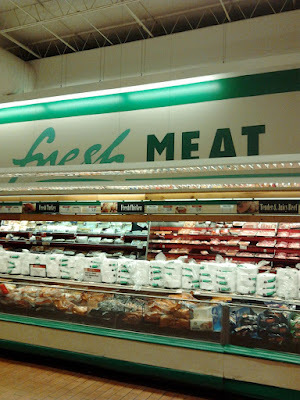 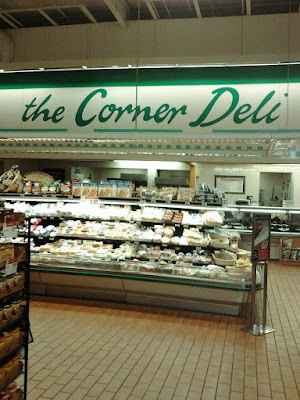 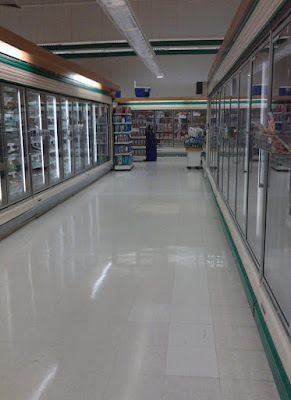 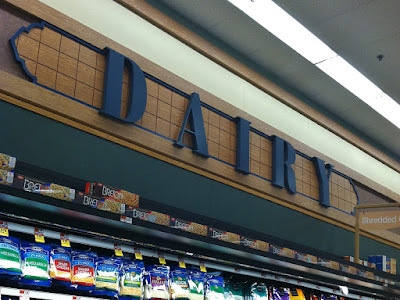 This store had one of the most deluxe Grand Aisles of any Acmes probably due to the fact that it was built from the ground up rather than being remodeled from existing space. 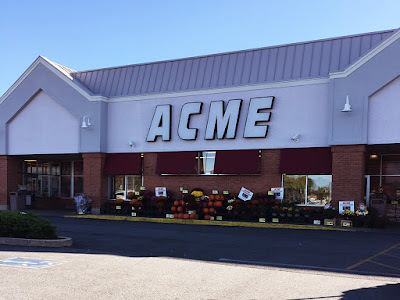 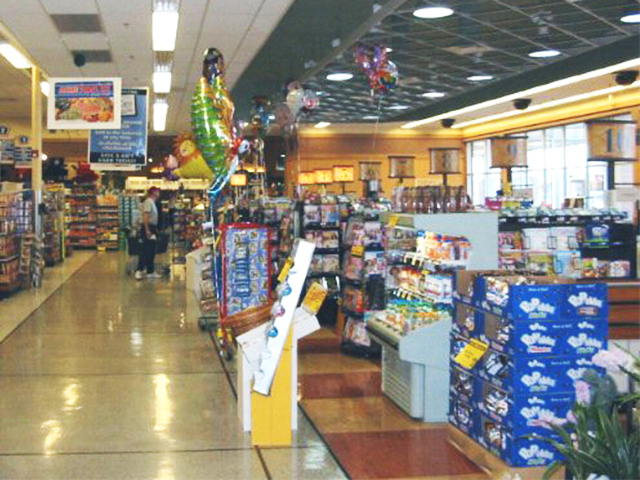 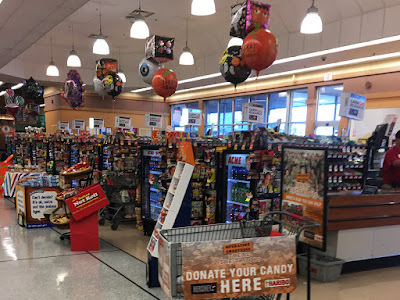 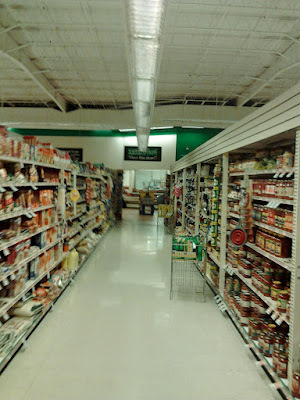 Back in the early 2000's when I would hopelessly google Acme photos, a picture of this very Grand Aisle would always pop up at the top of the search results. 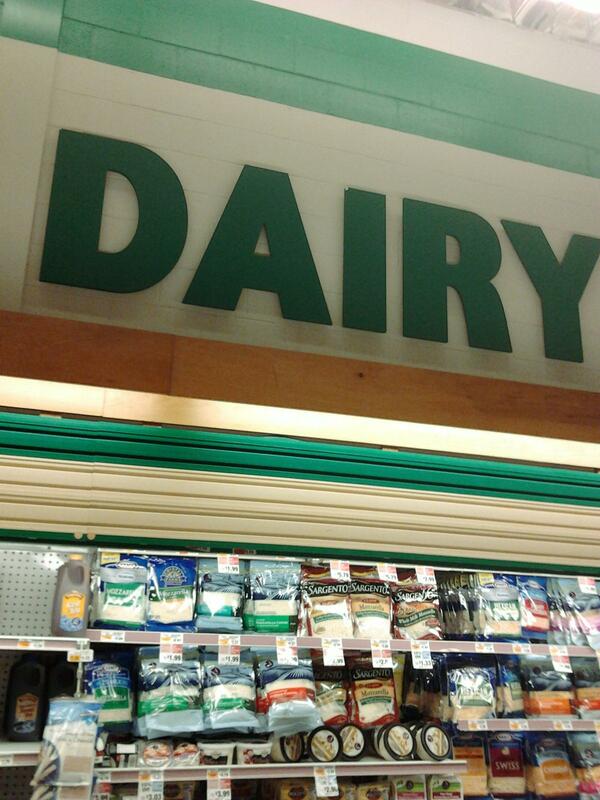 Took years for me to figure out exactly which store it was. 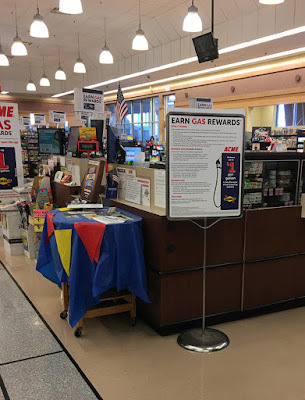 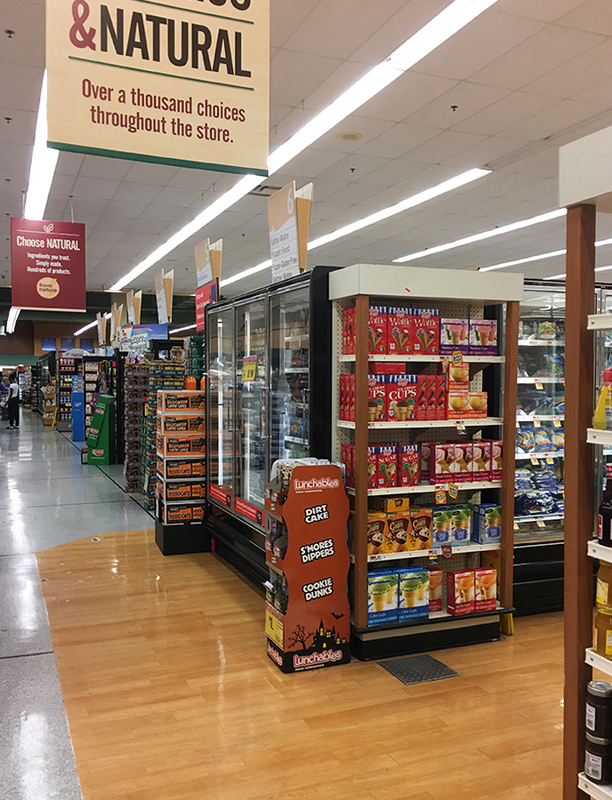 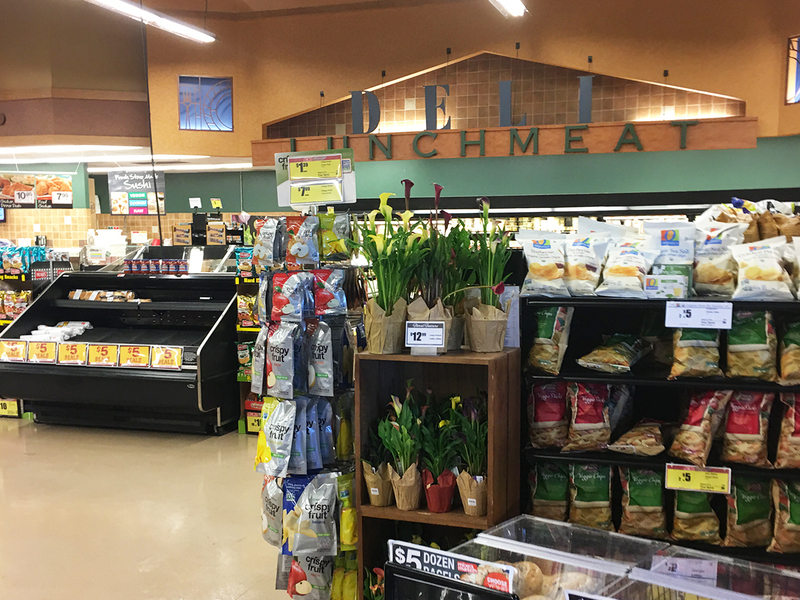 While the décor here is the Albertsons Marketplace package, it's a version that wasn't used in many stores. 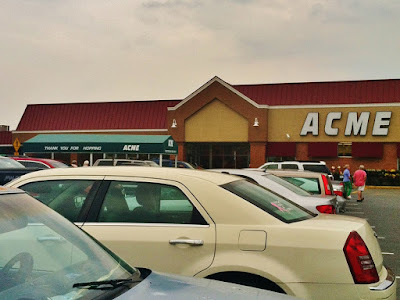 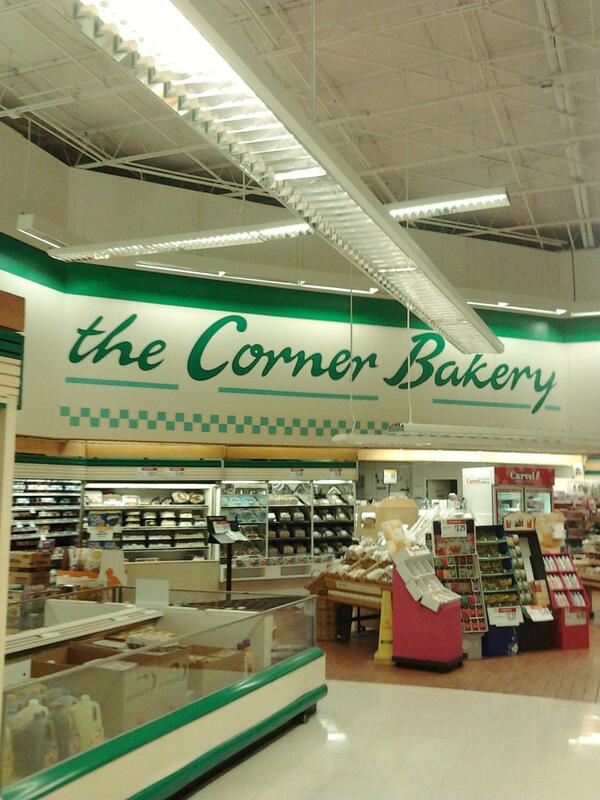 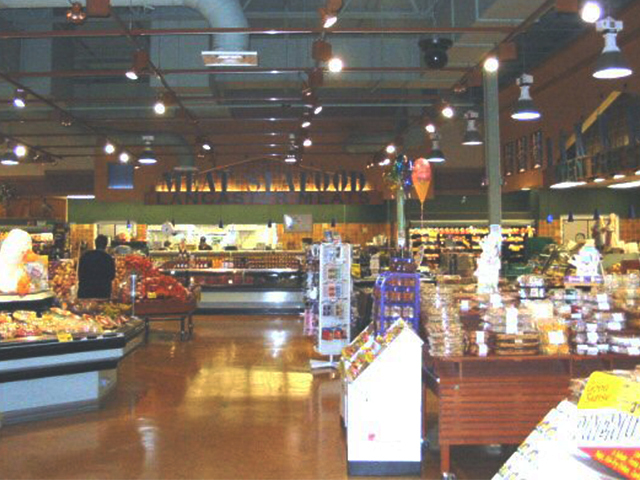 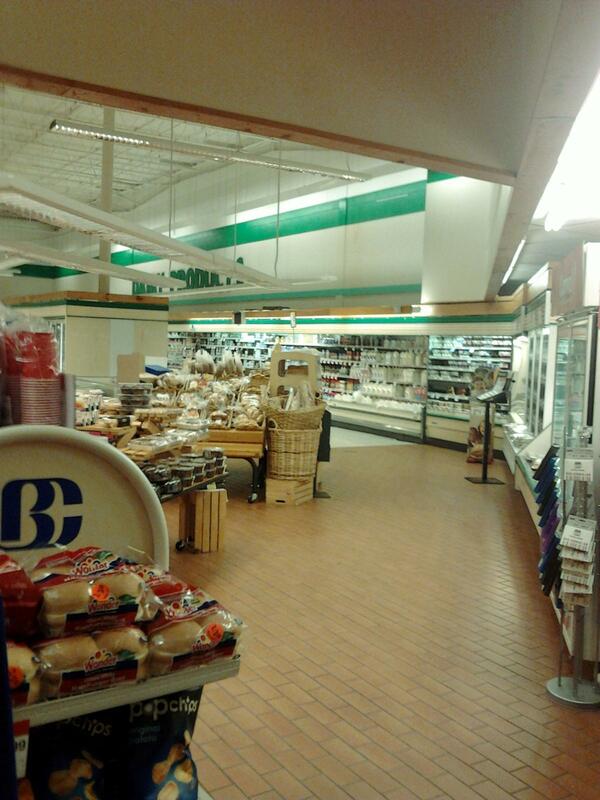 The Granite Run and Warminster stores were among the few other Acmes to have décor similar to Easton. 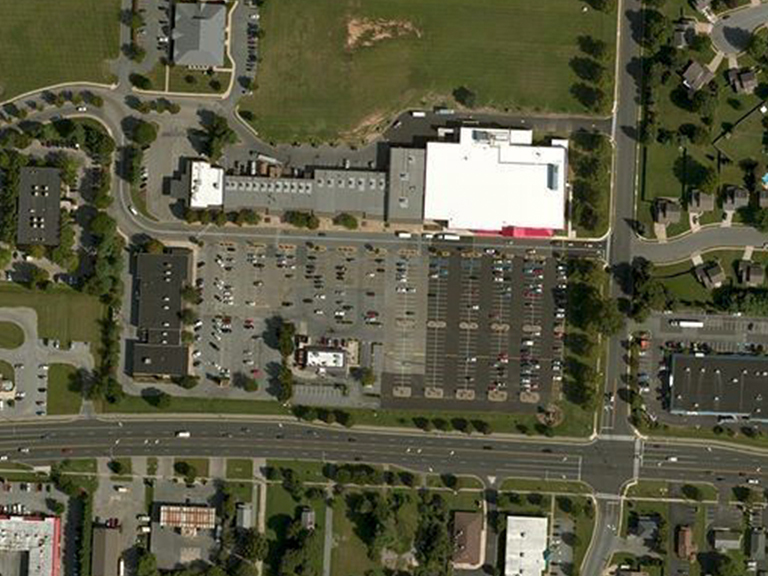 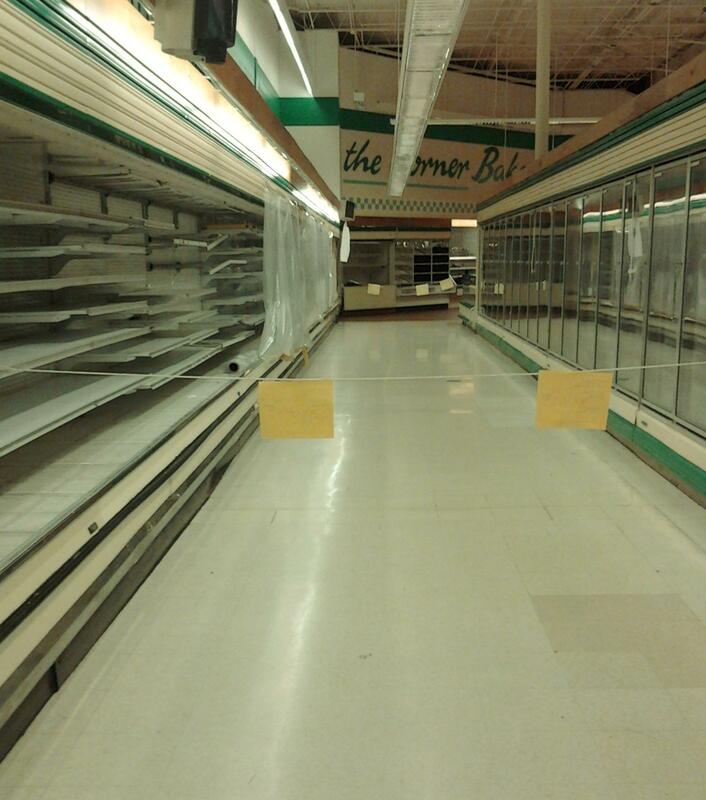 Granite Run now has Quality Built and Warminster is closed. 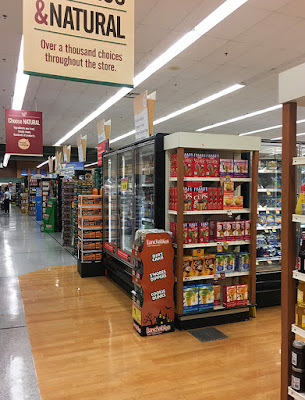 New lighting has been put into this section of the store. 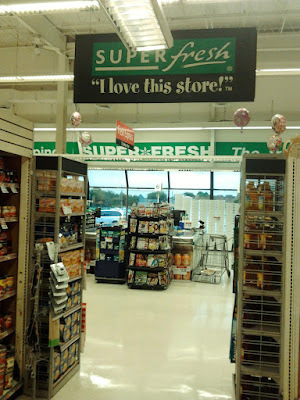 I believe the change happened back in 2015 prior to the store holding a grand reopening. 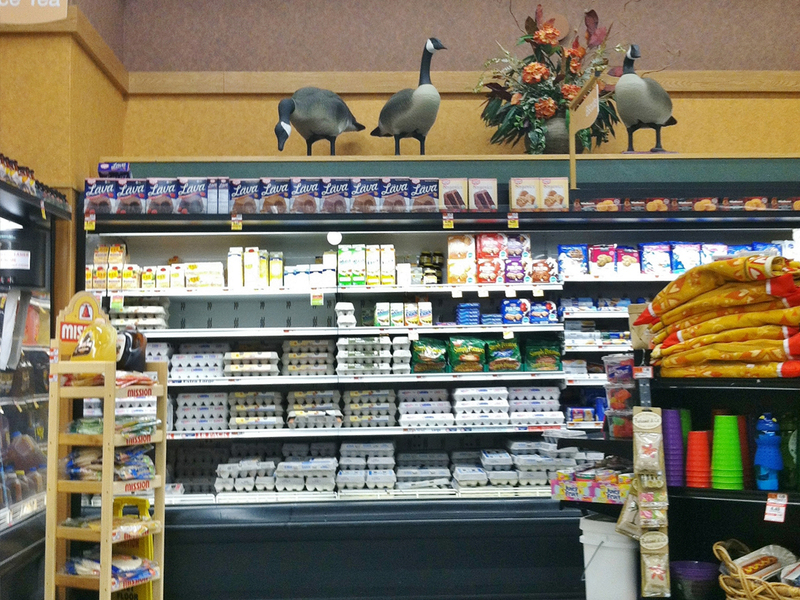 Older picture here with a gaggle of geese ready to crap in your cart. 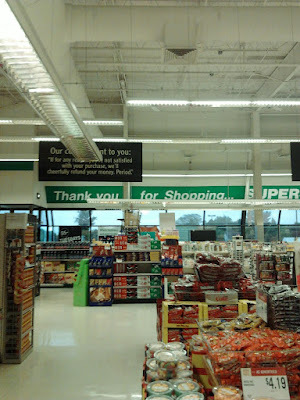 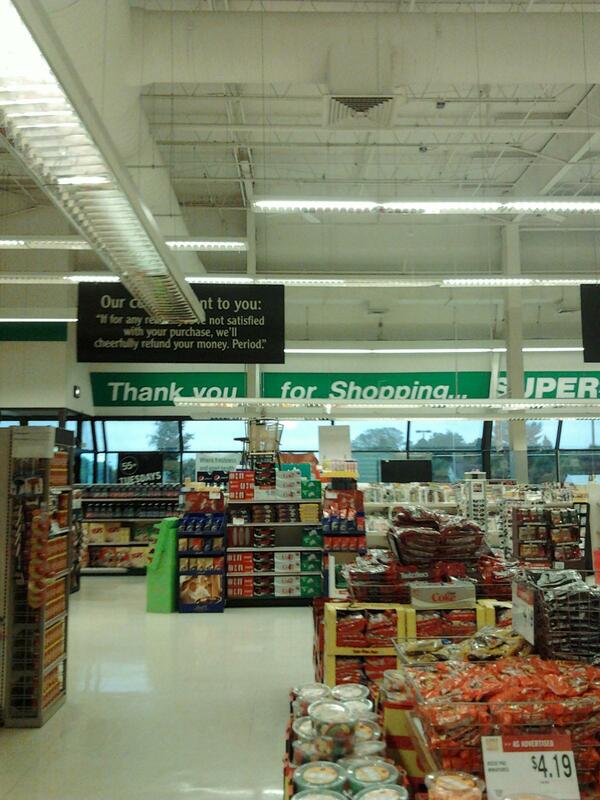 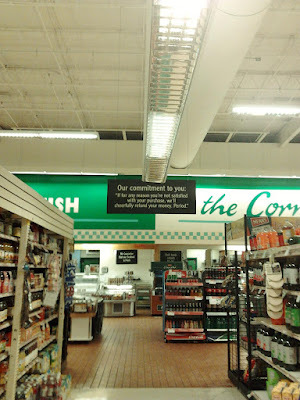 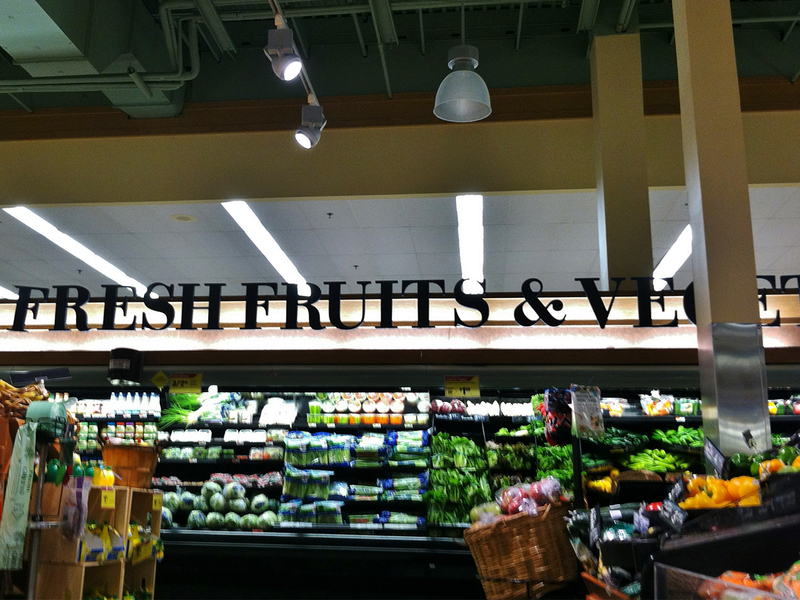 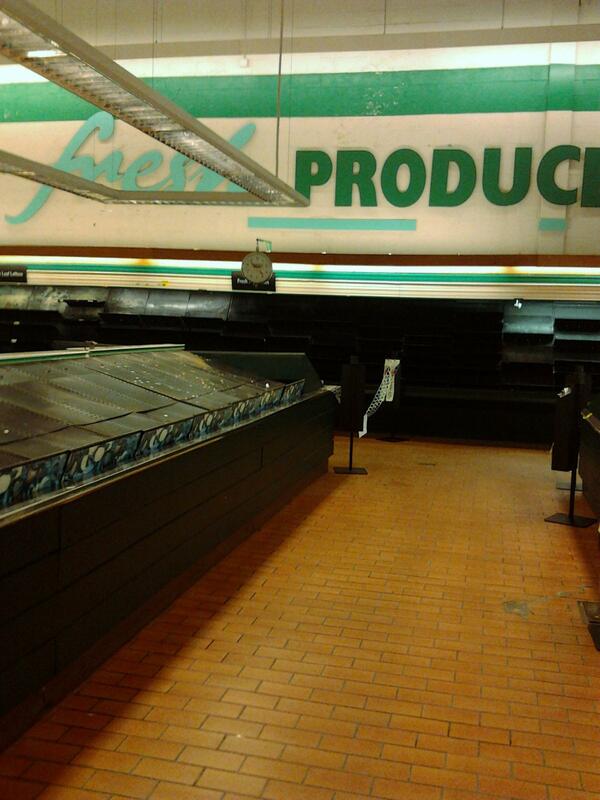 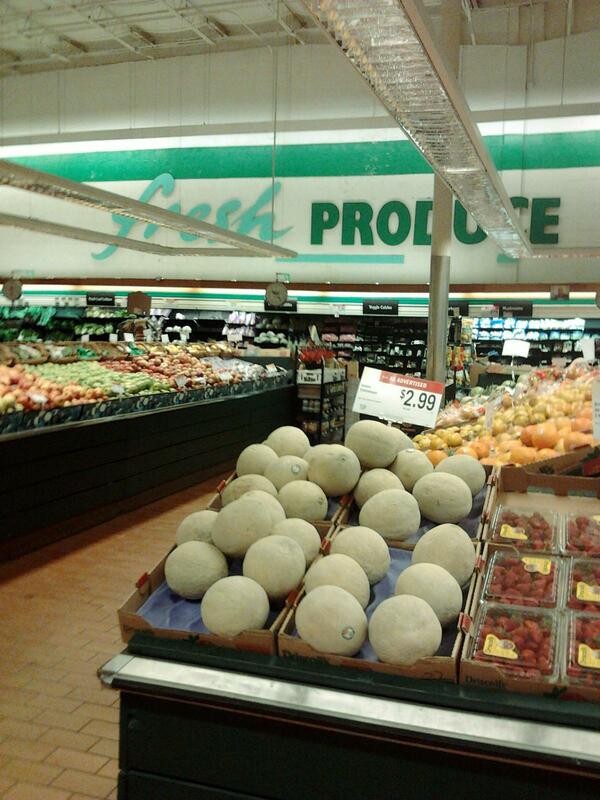 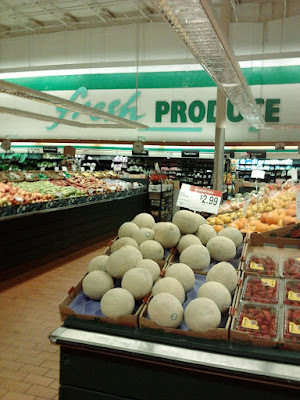 The hanging lattice structure above the checkouts was removed. 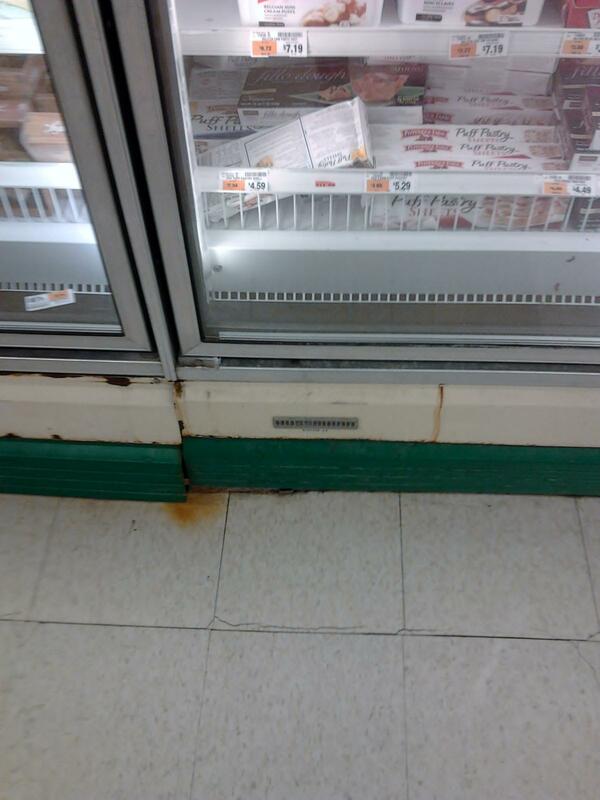 You can see a "before" photo below. The original lighting can be seen in these photos. Register lights that were actually designed to match the décor! 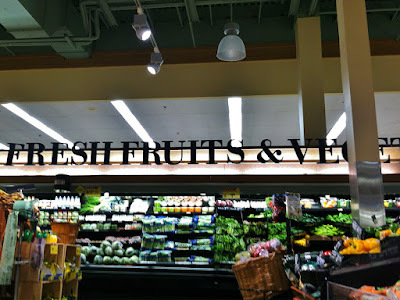 These exact lights have never been seen on the blog before. A shame Acme yanked them out and replaced them with the horrible generic lights which swept through the whole chain. 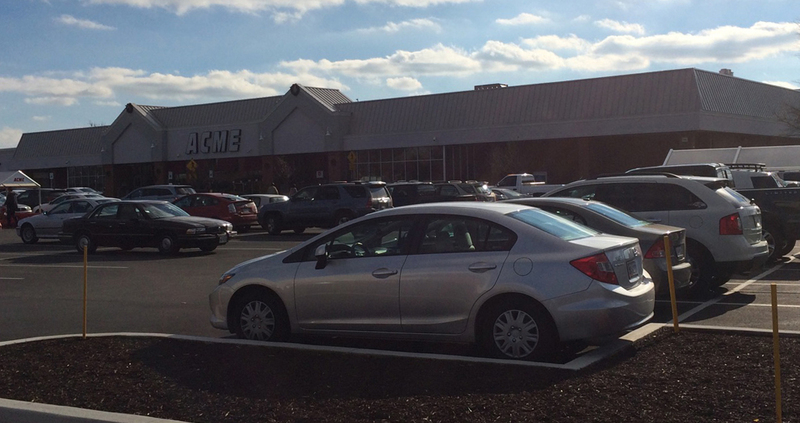 The former Colonial Cottage Acme on Dover Road. 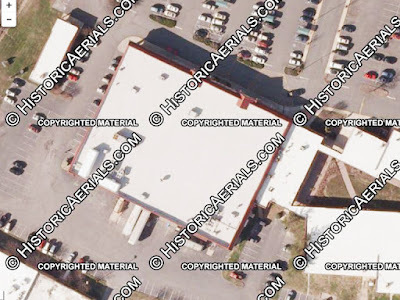 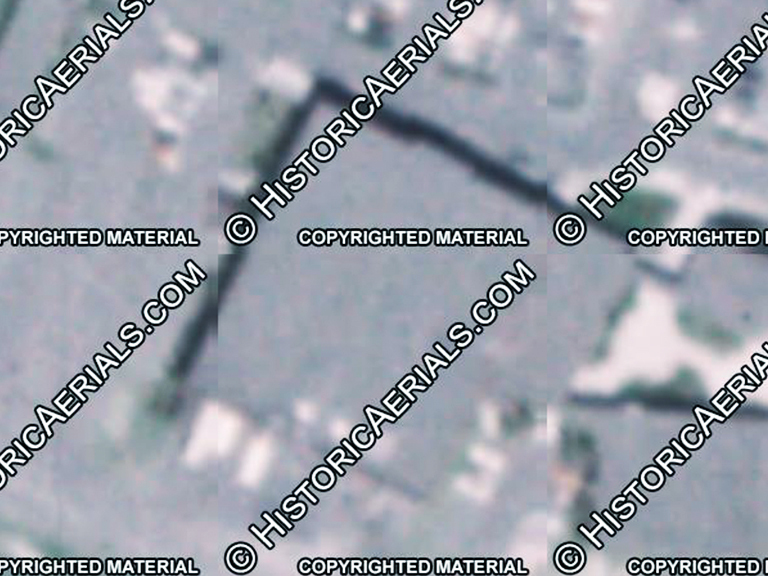 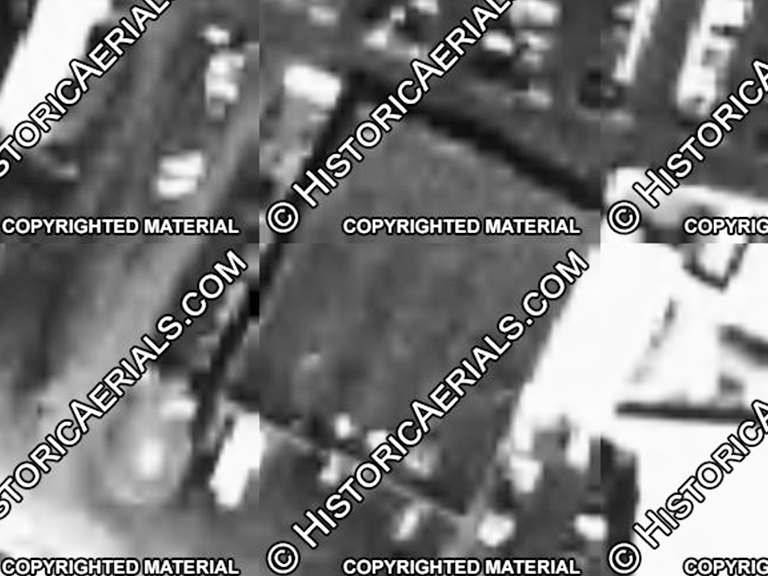 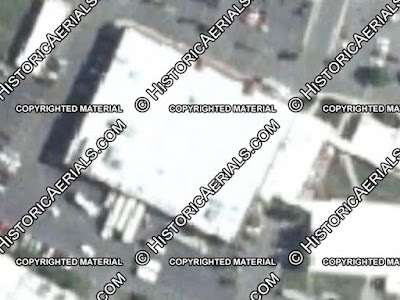 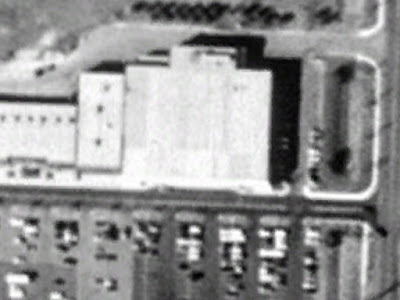 I have no dates for the opening of closing of this store and historic aerials date back only to 1981. I would imagine this store closed when the West Marlboro store opened. 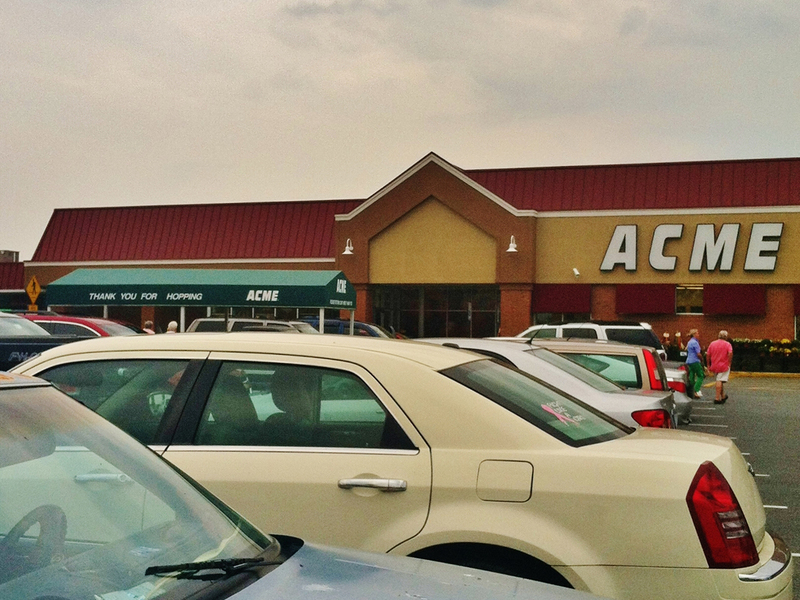 The original Easton Acme on Washington Street. 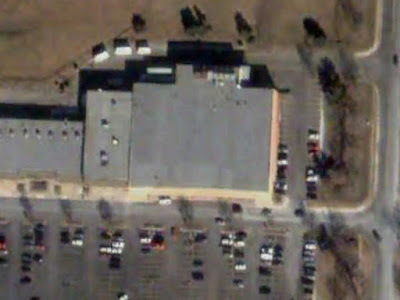 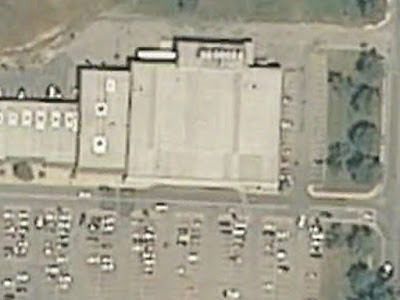 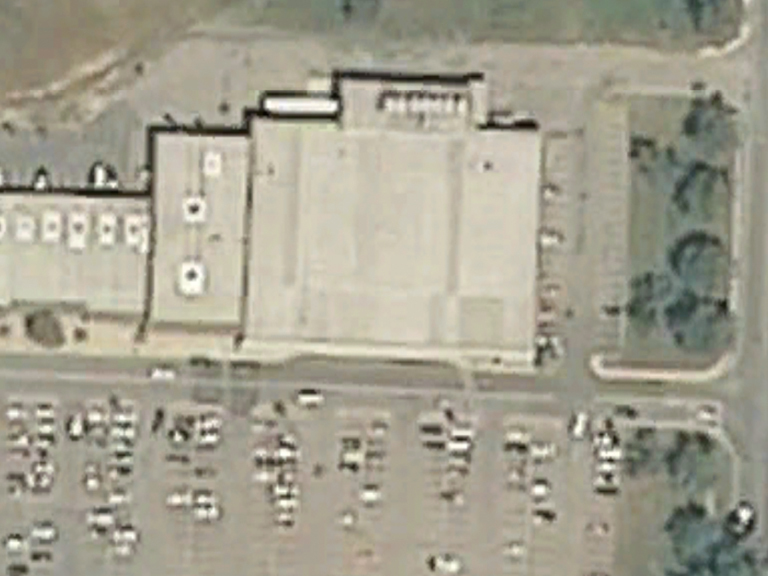 Now a Goodwill Store. 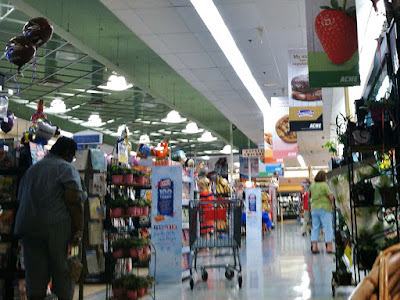 For some interior photos, click here. 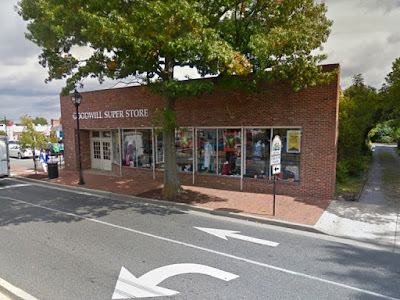 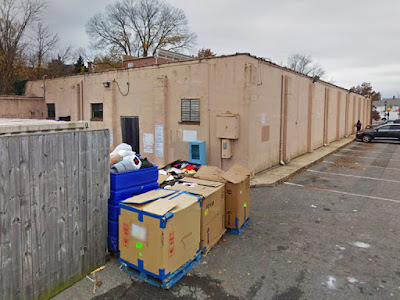 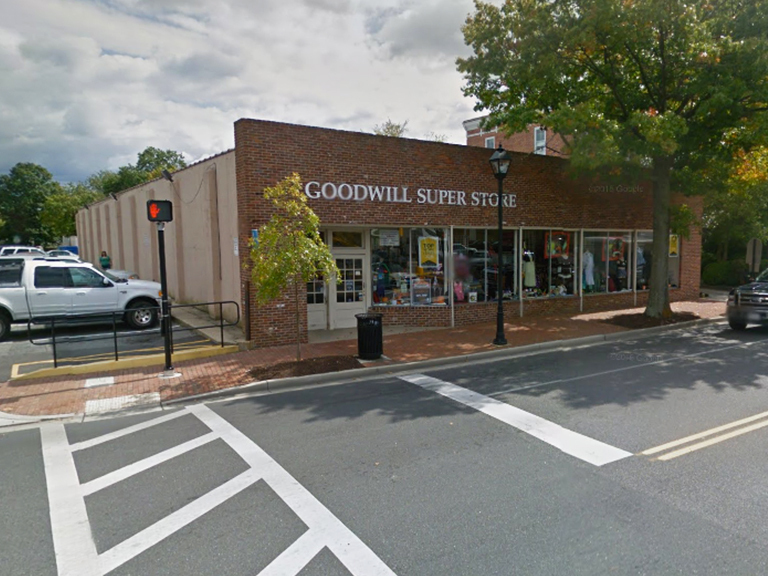 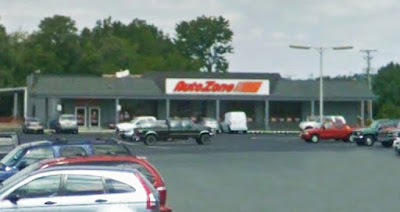 Sometimes google street views are so good, there's no need to visit the former stores in person! Hard to really tell here but construction on the addition may be happening above. 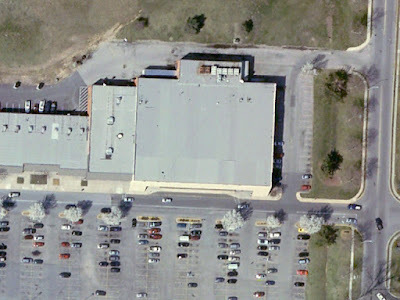 Thanks to Jacob V, Ben from Delaware and Dwayne Groton for the photos! 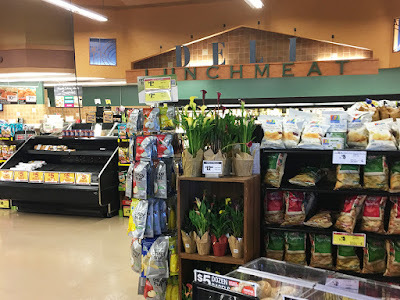 Since we've been in a Super Fresh state of mind for the past week, I figured it was about time I busted these photos out of the vault and put them up on the blog! 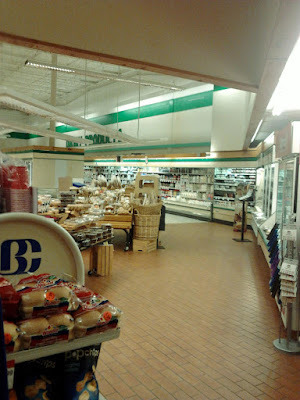 Ben photographed the store in May 2011 as the store was in its final weeks. 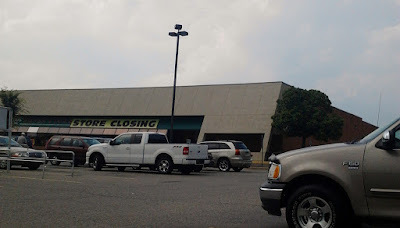 It closed the following month. 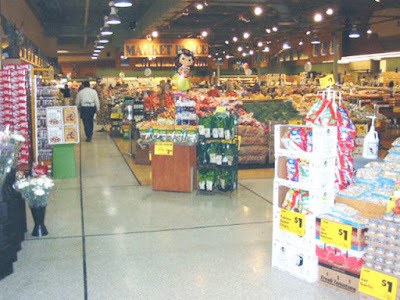 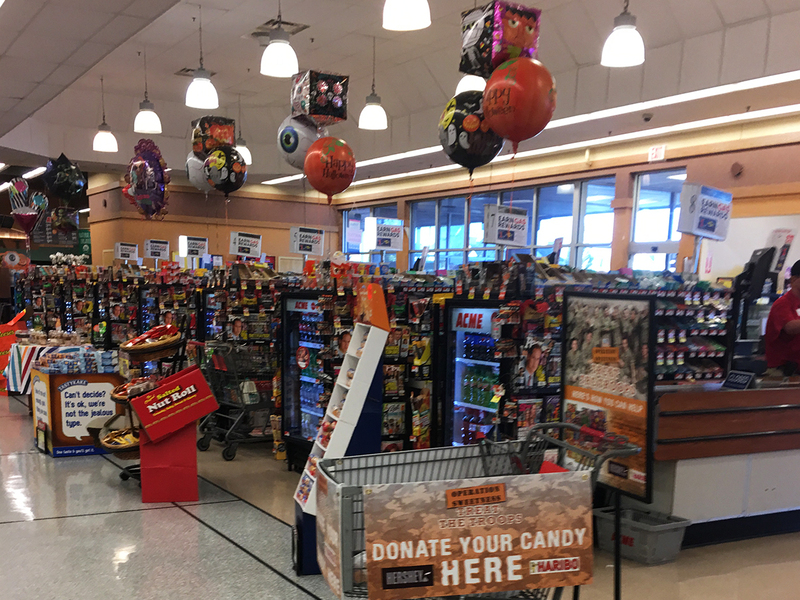 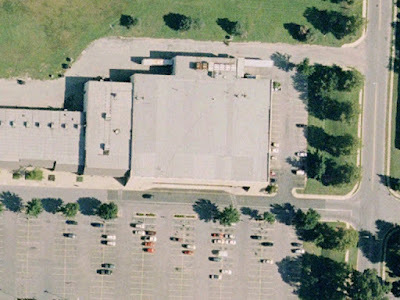 The building has since been significantly renovated with Redner's taking over the space. 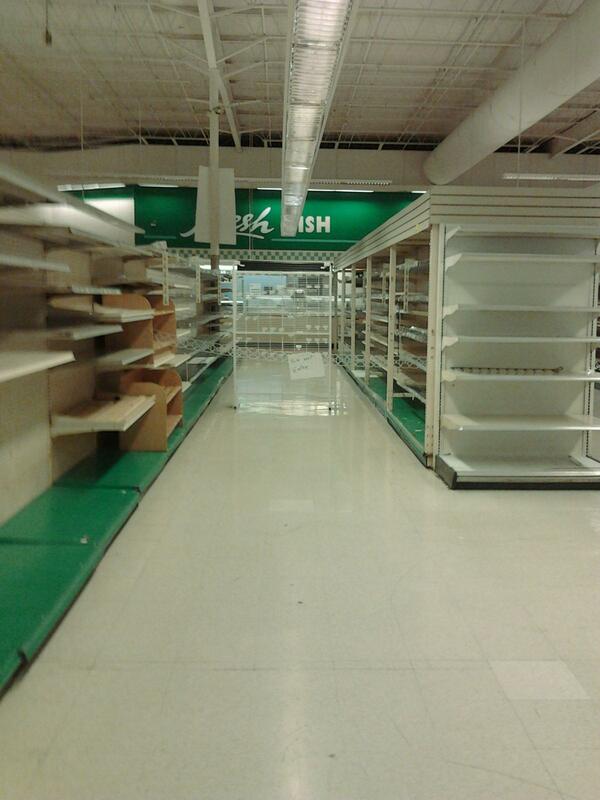 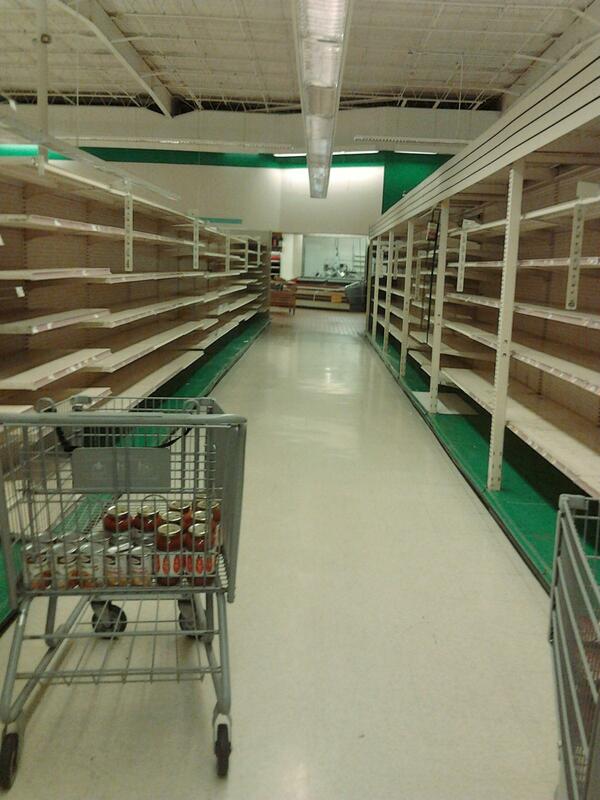 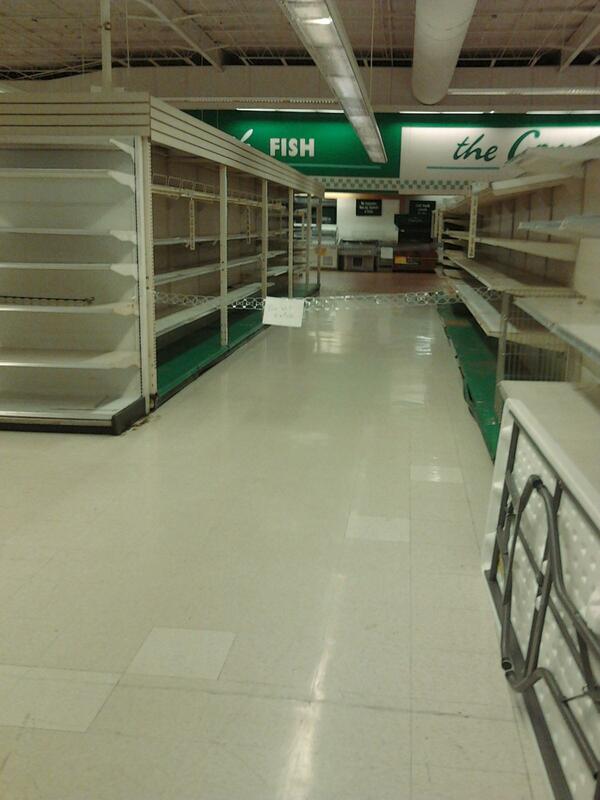 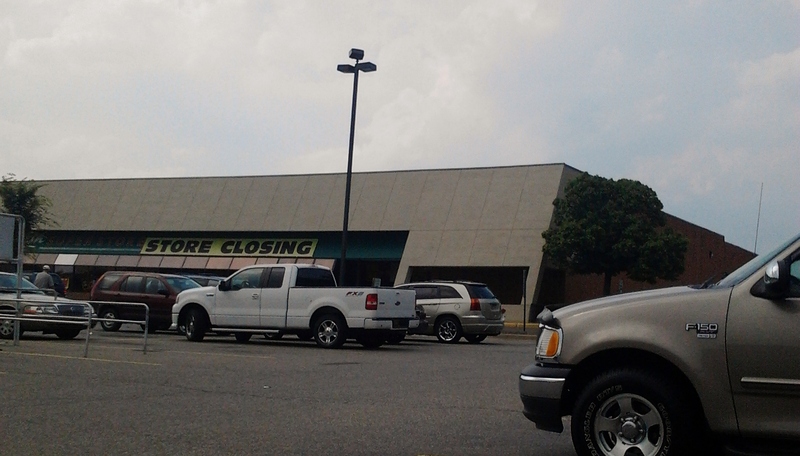 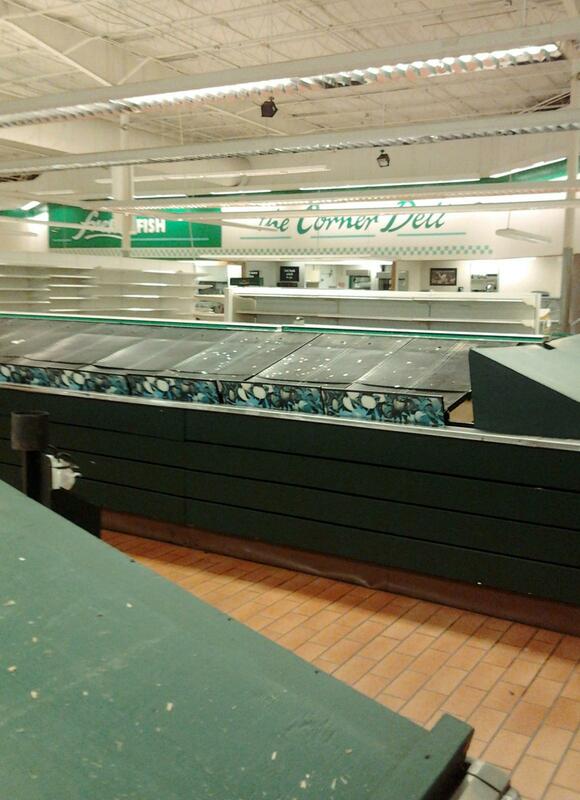 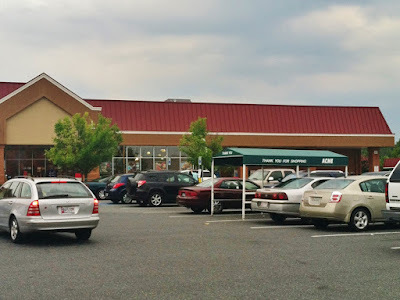 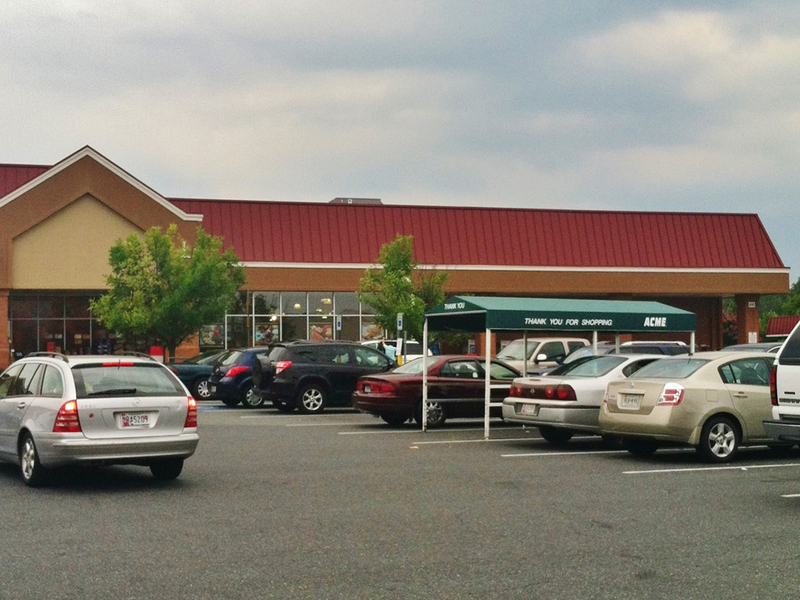 An article about the stores closing can be found at doverpost,com. Redner's makes its first appearance in the historic views in 2014.